Call Of Duty 2018 Might Be A Modern Shooter | Nerd Much? Those three words are not what some might have expected after such a successfully old school game like WWII. Well, after WWII some fans might have been hoping that Activision might take the series even further back to the basics. It seems that is not the case, however, according to a job posting for a Systems Designer with a focus on combat. As with most positions for game developers, the exact work involved is unclear. It seems that a game system refers to the balance of overall game mechanics. So a little environmental design, project management, and a lot of pitching ideas. The idea is to responsible for certain game mechanics from start to finish. Second is under the “and you’ll really get our attention if you have” which states again that “combat design experience” is key. If you’ve been responsible for game concepts from start to finish, all the better and of course the meat of this posting a “deep knowledge base of firearms and modern military technology.” Those three words are not what some might have expected after such a successfully old school game like WWII. 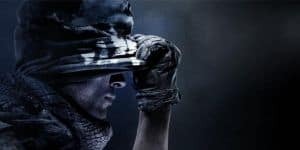 Third, if you had any doubt about which game this posting might be about, it states that it would very advantageous if the applicant had “prestige 1 or above in Black Ops 3 Multiplayer.” That, and all Treyarch has ever made for Activision are the Black Ops series and Call of Duty’s infamous zombies. Granted, after WWII there isn’t technically another world war, so if Activision is going chronologically the next logical step would have been the Cold War. I suppose with current political issues between America and Russia, game creators are likely keen to avoid the subject of Russia in general. Thus, it seems logical that Activision would go back to a more modern period. Though hopefully not too modern as to run back to jet packs.